Q: I am interviewing candidates for mostly sales roles in my company. We often ask a candidate to spend about three hours onsite, meeting with several of our managers. Then, we ask candidates to return a second time for another three hours. 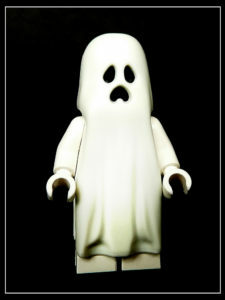 However, we are experiencing a lot of “ghosting” with candidates. They just never show. They disappear. We have had this with some employees too. They give no notice and they vanish. Or they accept our job offer, and never show up the first day. What’s going on here? Does this happen elsewhere? A: I hate to hear about “ghosting” at your company or anywhere. It leaves a bad taste in my mouth. Truthfully, I think it is happening more frequently. There are a number of reasons why it is becoming more common. First, I think some employers expect a lot of time from candidates. If a candidate is interviewing, it is a challenge to return to an employer’s location more than twice. The candidate may be interviewing elsewhere too. There are only so many excuses which permit a candidate to leave their current employer during the workweek. Additionally, the candidate likely has to build in time for travel. Essentially their three-hour commitment to your employer may be a five-hour commitment with travel time included. Once a candidate has invested more than 10 to 12 hours in a selection process, some candidates begin to get antsy. Senior-level roles may require additional interviews. I am not condoning ghosting but trying to paint a realistic picture of the time commitment sometimes involved in the interview process. Second, I think some candidates struggle with expressing their current situation. They may not be interested in the role or the company. However, they don’t know how to verbalize this message. Or, they may have another offer. Some candidates are unable to articulate this information so they disappear. Third, I think some candidates and employees feel like loyalty, specifically in the employer-employee relationship, has evaporated. Employees have witnessed downsizings, rightsizing and layoffs. Some employees regard the employer with suspicion. Some employers talk about transparency but it seems less than authentic. Finally, I view this behavior as immature and unprofessional. Leave a voicemail or send an email if you don’t want to be questioned about why you are not interested in a job. It is a small world. I have worked with candidates who have “ghosted” an employer and then the candidate has re-surfaced several years later and asks us for help with their search. We say “no thanks” to the candidate.